Through the Gulamerian Scholarship, FAR aims to help the most destitute but promising young students. Today, we would like to highlight the story of the Haji-Poghosyans sisters, Mariam, Tatevik, and Anna. Though their parents are living, the three girls were raised in the Vanadzor orphanage. Before arriving at the orphanage, their home life was a domestic nightmare. Their father, Grigor, suffered from an alcohol addiction while their mother, Marietta, remained bedridden and seriously ill. Marietta took the girls to Vanadzor, in the hopes that they would have a better upbringing there than she was able to provide for them. The three sisters have now matured to become lovely young ladies, and have been thriving at the orphanage. Two years ago, the eldest sister Mariam learned about the FAR Gulamerian Scholarship Program, and applied to Vanadzor State Pedagogical Institute, Department of Law. She was admitted into the paid educational system and the tuition fee of nearly 1000 USD is now covered within the framework of FAR Gulamerian Scholarship Program. “If not for the Gulamerian Scholarship Program, the opportunity to study at higher educational institution would merely remain a dream,” confessed Mariam Haji-Poghosyan during our conversation. Mariam’s two younger sisters are also Gulamerian beneficiaries. Tatevik studies at the local Medical College, and Anna studies at Polytechnic College. Their tuition fees are also provided by FAR Gulamerian Scholarship Program. There is no need to mention how happy the three sisters are, and thankful for benefactors Josephine and Harold Guamanians’ generous support. [Hayastani Kidak]: $1550 for 2 Weeks in Armenia and Nagorno Karabakh. Yes, we are in the midst of planning our 2010 Young Professional Trip which will take place between July 7th and July 21st. We just set the price for the land package at $1550. That includes all hotel accommodation (double-occupancy), air port transfers, all taxes, two meals per day in Yerevan, tree meals per day outside of Yerevan, entrance fees, and guided daily sightseeing. This year we offer two different flight options. Either Austrian Airlines via Vienna for $1685 or Aeroflot via Moscow for $1100. Of course every traveler can also book their own flights or use personal air miles to obtain a ticket. Or just contact me with any questions you might have. Recently, FAR was acknowledged as one of the first organizations to support the development of the Armenian city of Gyumri. On February 11, a ceremony was held in Gyumri honoring Vardanats war heroes. The main battle of the so-called “War of the Vardanank” was fought under the leadership of Vartan Mamikonian as Commander-in-Chief in the year 451. Though the war ended with a Persian victory, it became a symbol of the preservation of the religious freedom and identity of the Armenian people. 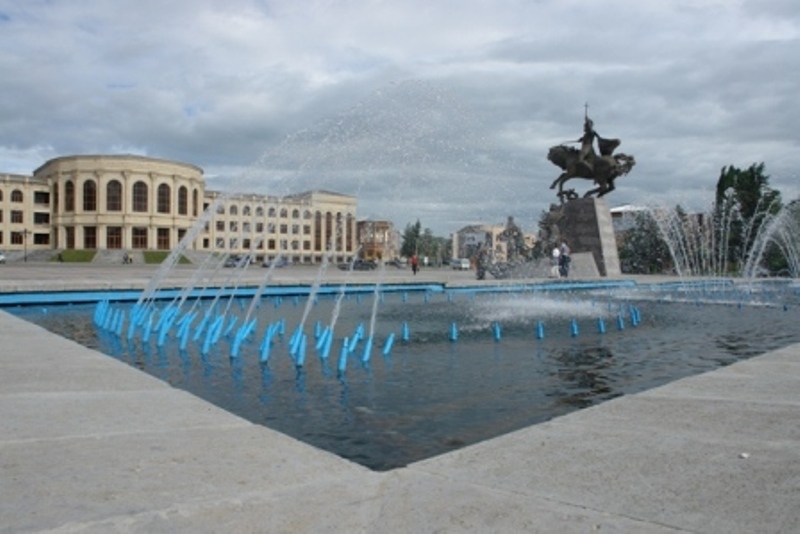 In memory of those who gave their lives during this war, Gyumri renamed its main square after the Vardanants heroes. 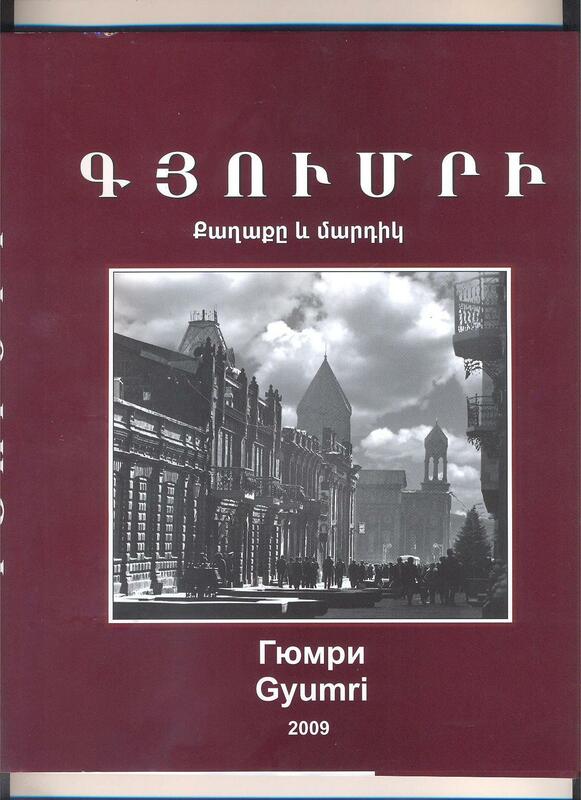 Part of this month’s commemorative ceremony was the presentation of a well-researched book titled Gyumri. The city’s mayor, Mr. Ghukasyan, personally presented a copy of the book to the FAR headquarters as a token of gratitude to the Fund for Armenian Relief’s efforts in Gyumri. 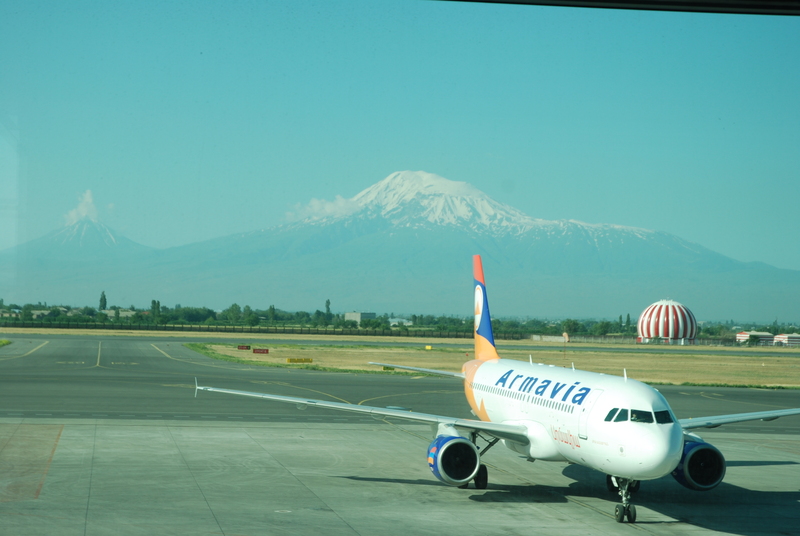 We just posted our Facebook Event Page for the 2010 Young Professional Trip to Armenia. Sign up at our Hayastani Kidak Society and be among the first who will get the updates on our upcoming trip. You are currently browsing the FARs Blog blog archives for February, 2010.